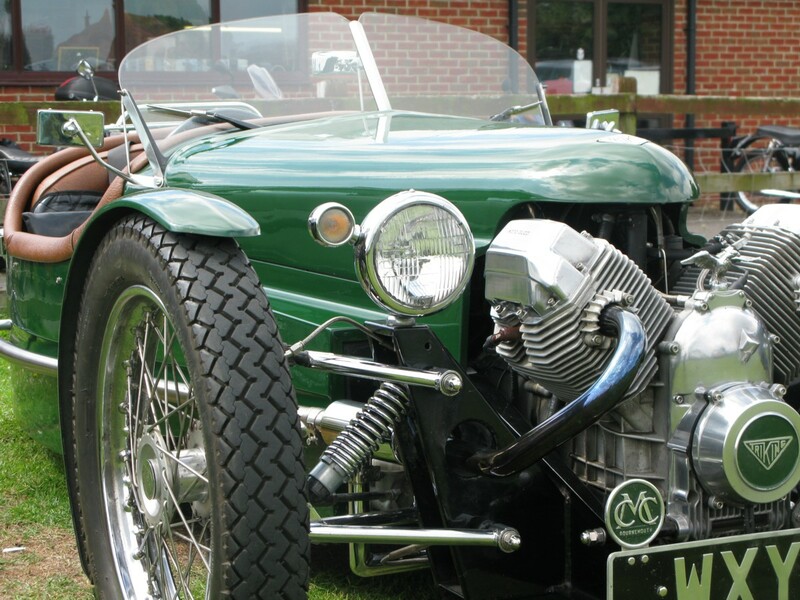 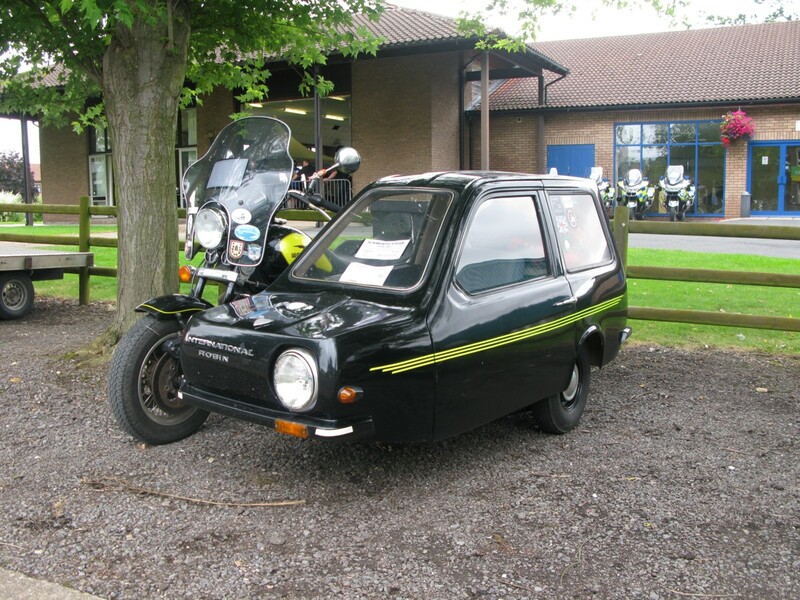 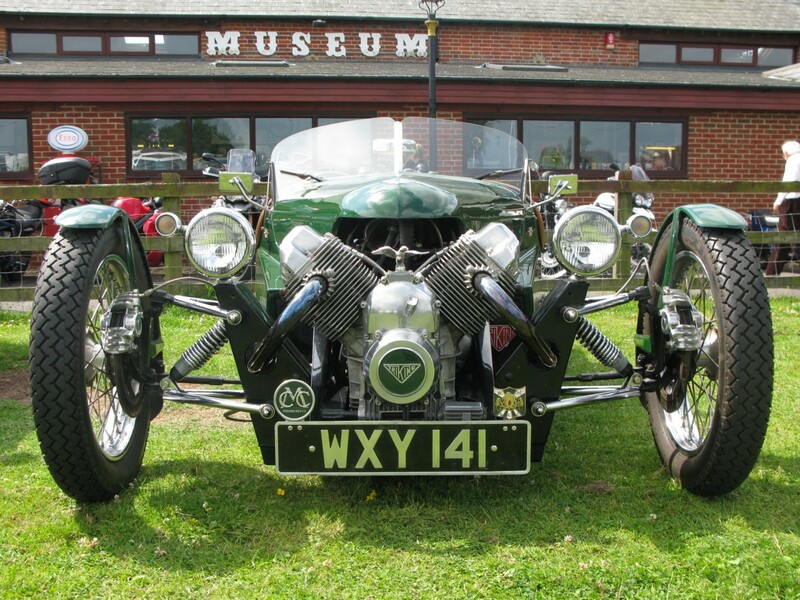 Watsonian Sidecars put on a celebration rally for their centenary this August. 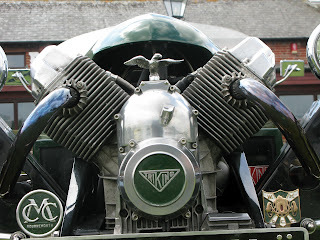 Held at Stoneleigh Exhibition Ground in Warwickshire it was a little more low key than expected but mid-August is a busy old time for events and it was still entertaining. 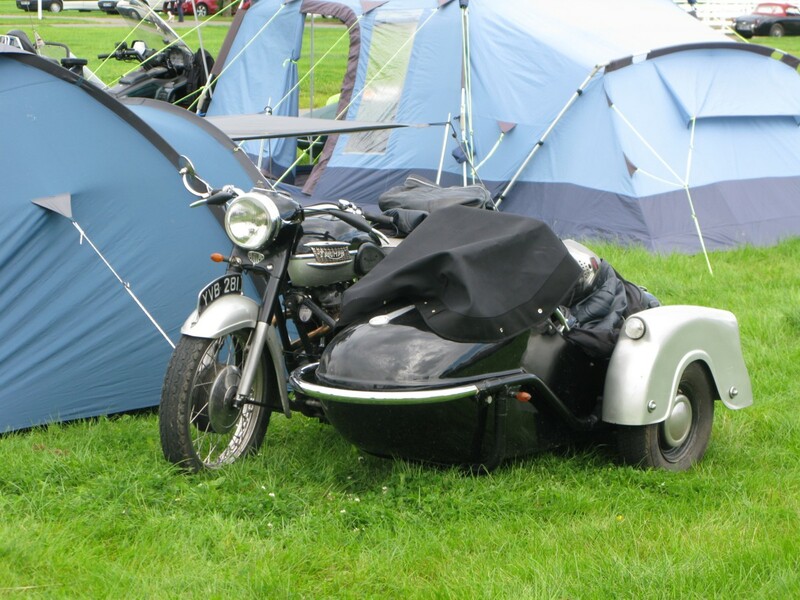 Sidecar events are always fun for the amount of ingenious home engineering on display. Part of the interest in attending was inspiration for a personal Bullet / Monza project - more to come. Inspiration was indeed received and a pleasant morning was had oggling the combos.. Beautifully turned out ex-works 1953 350cc Royal Enfield Bullet ISDT combo. 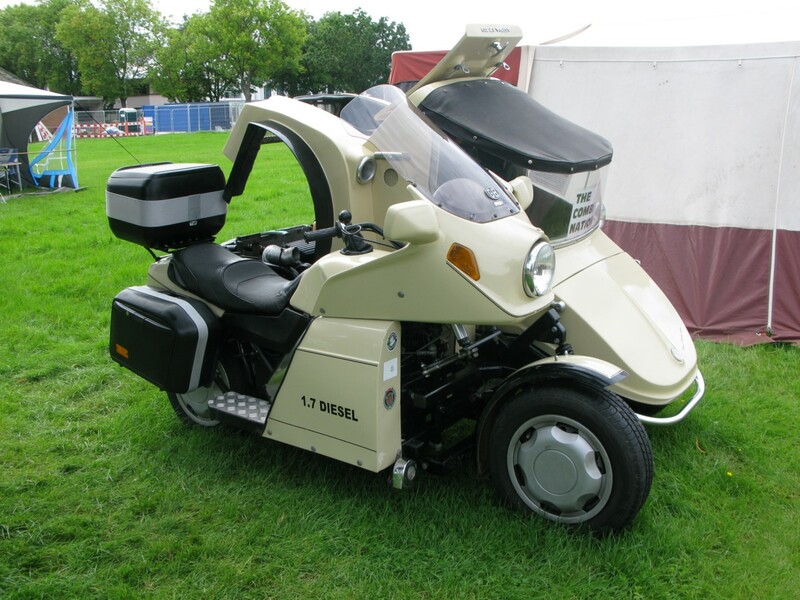 Loads of unique features and perfectly thought out for long distance eventing. 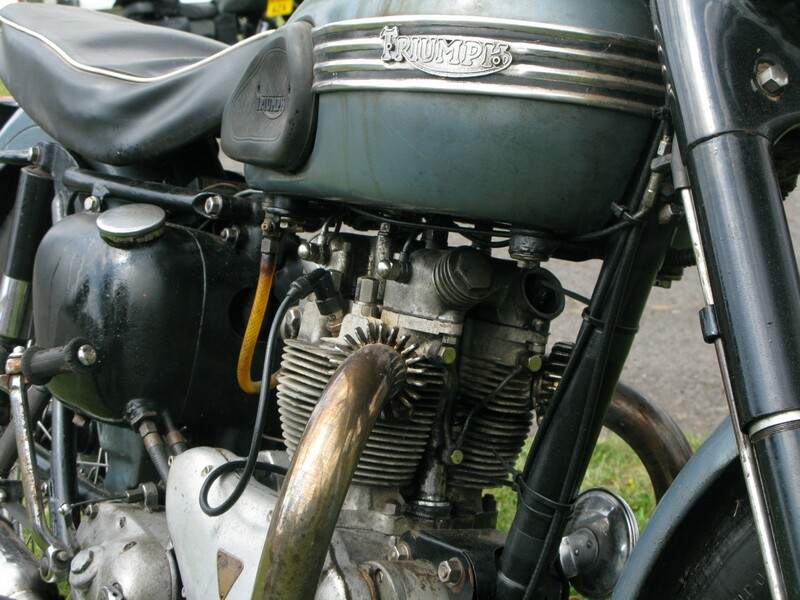 350cc top end on a 500cc bottom for extra flywheel effect. 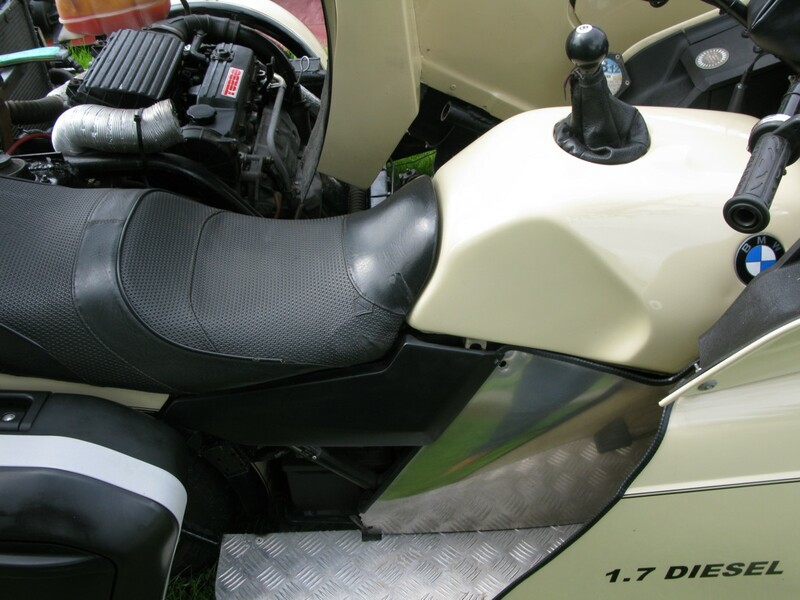 Gear lever though what was the petrol tank! economy was claimed by the owner / builder. 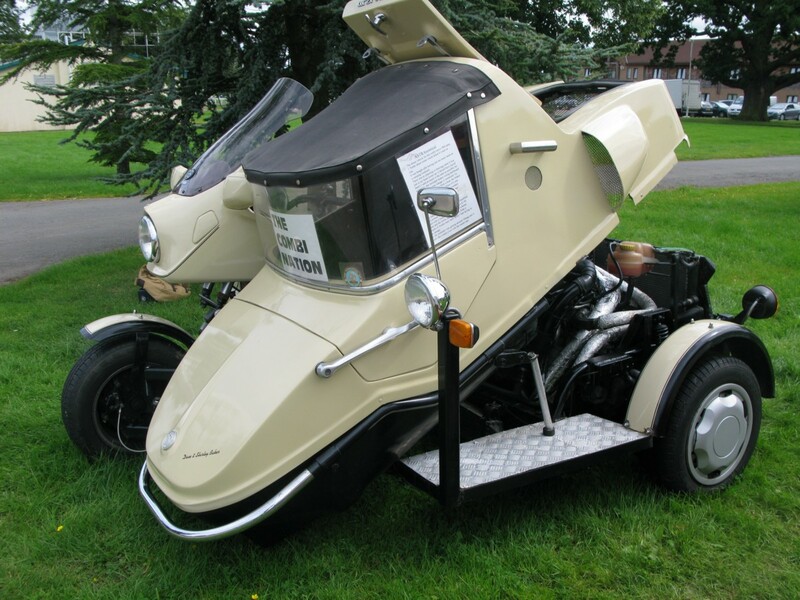 abomination. 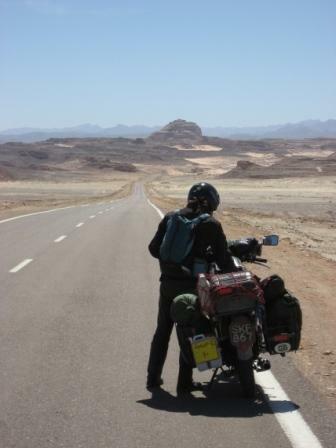 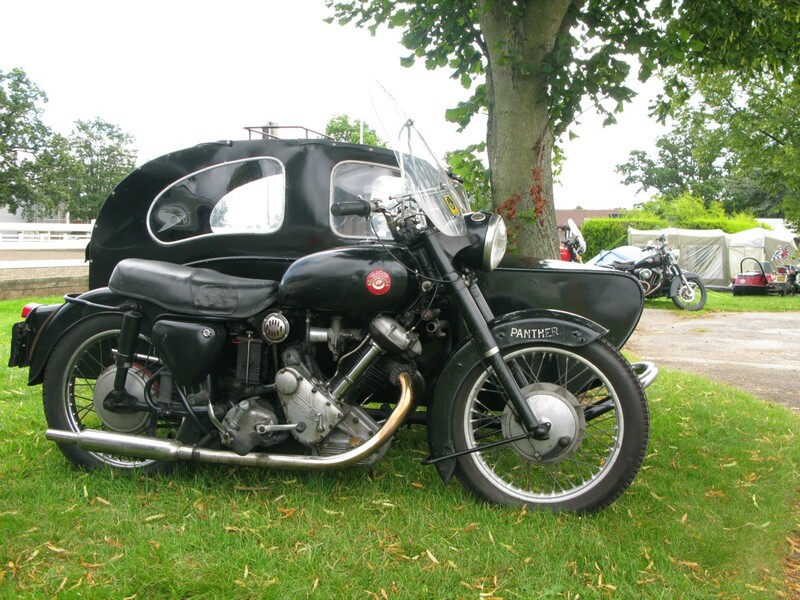 Married to a Moto Guzzi California 1100. Very immaculate Lambretta TV175 with Watsonian Bambini sidecar. 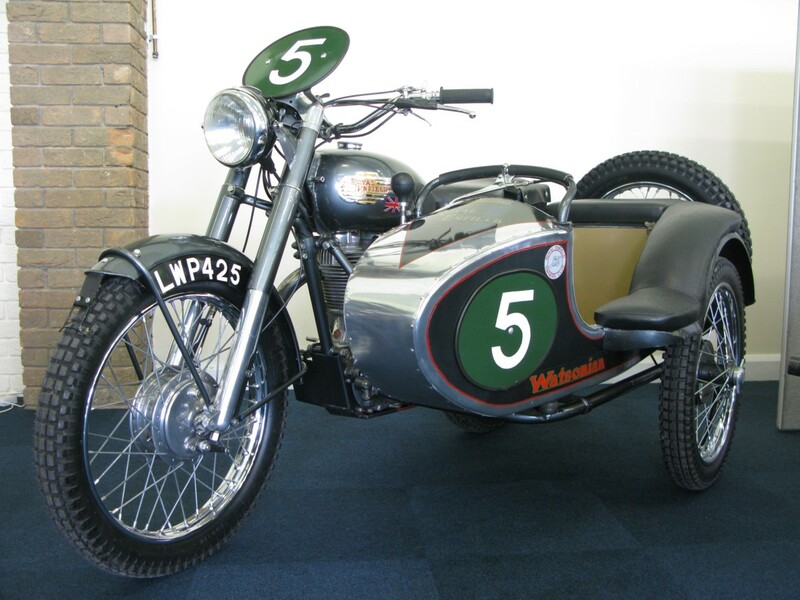 Panther M120 with rare Blacknell sidecar. 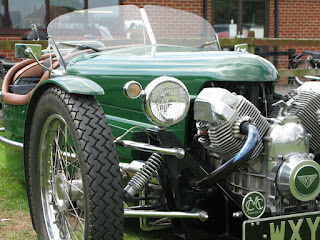 Vincent Comet put to serious work. The mighty Dayton Albatross was one of the finer British scooters. 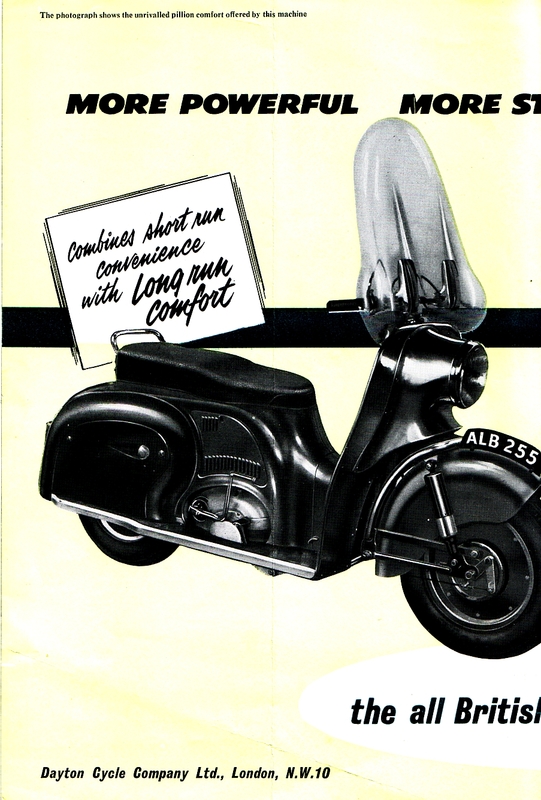 It missed the point of a scooter somewhat, but if your taste in scooters veered away from a stylish Italian lightweight and what you really hankered for was a big slab of British small wheeled beef then the Albatross was designed for you. 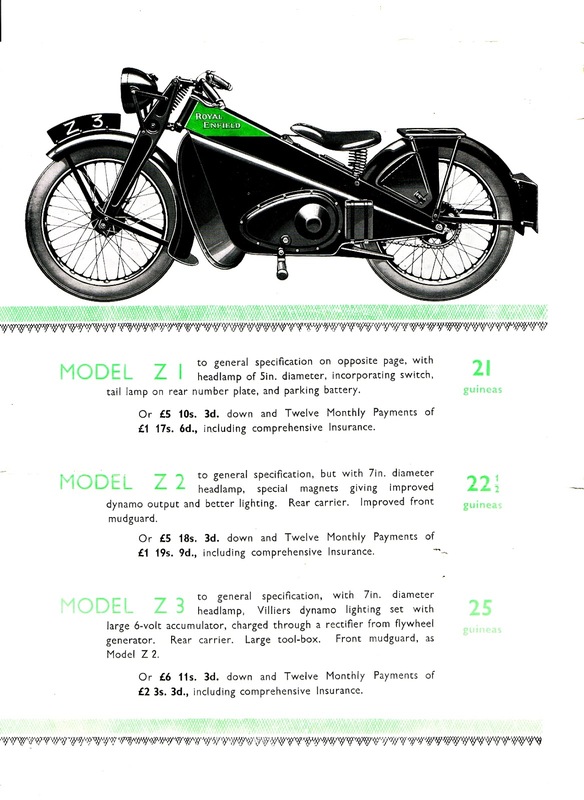 Initially introduced in 1955 with a Villiers 1H 225cc single motor, a couple of years later the 2T 250cc twin engined version was added to the line-up, also under the 'Albatross' moniker. 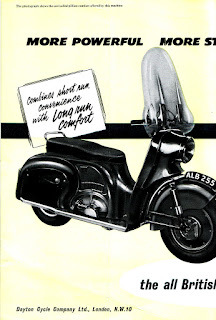 Debatably the Dayton was the nicest of the British scooters. The DKR Defiant was a very similar machine with the same Villiers engine but lacking the style of the Albatross. 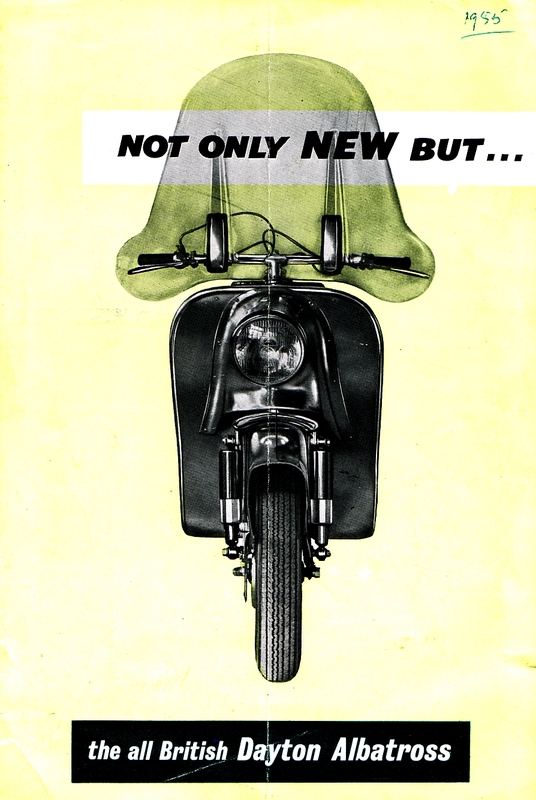 There was a reasonable market niche in the fifties for 'super scooters' and the Albatross was a good match for the market leading German models from Heinkel and Maico. 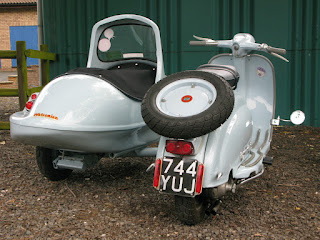 There's a reasonable survival rate and the twin cylinder models are amongst the most sought after of British scooters. 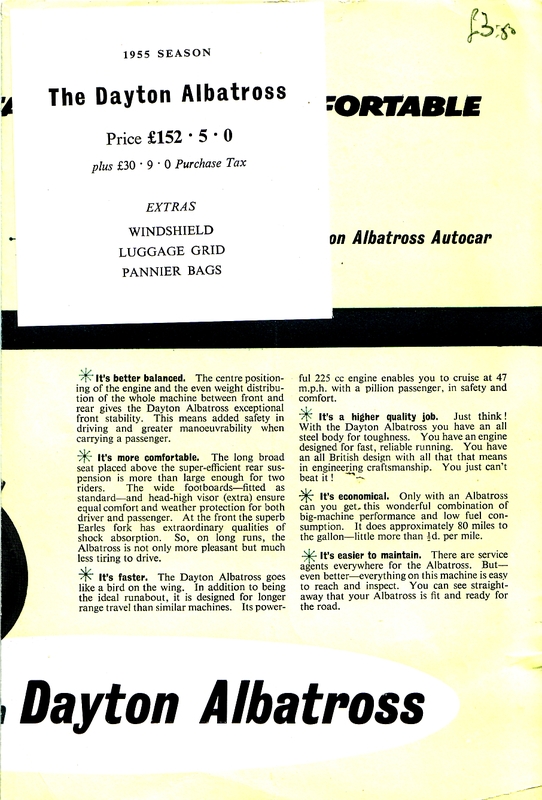 1955 Dayton Albatross brochure page 1. 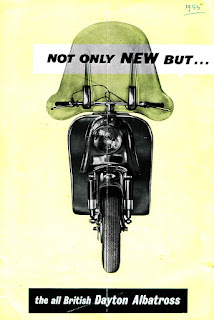 1955 Dayton Albatross brochure page 2. 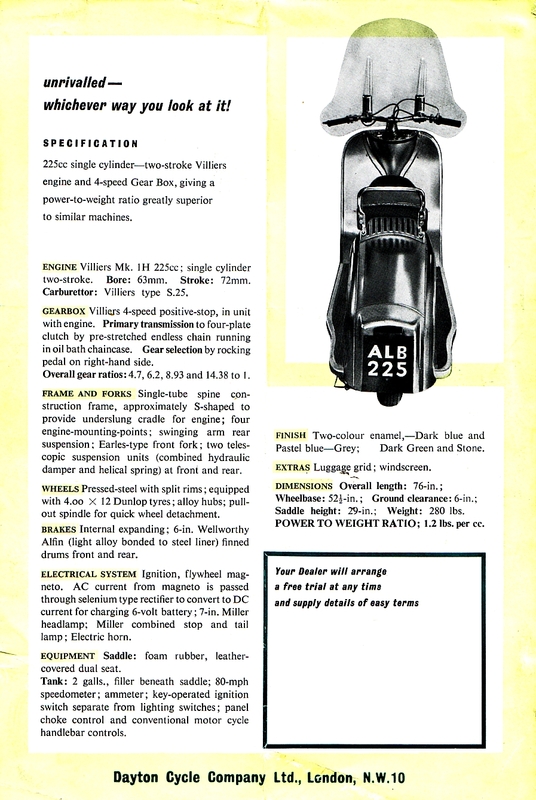 1955 Dayton Albatross brochure page 3. 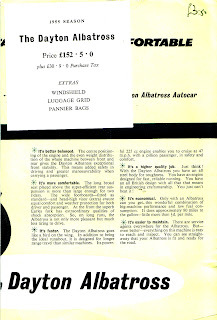 1955 Dayton Albatross brochure page 4. 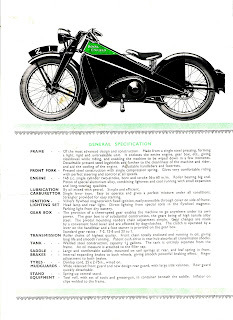 The little 150cc two stroke Royal Enfield Cycar was listed from 1933 to 1936. Lightweight to take advatage of a cheap taxation class it wasn't a bad idea at all and given that motorcycles were, at that time for many, a grim commuting necessity the straplines of 'safe, clean, simple and economical' may well have been good selling points rather than the complete motorcycling turn off they would be today. 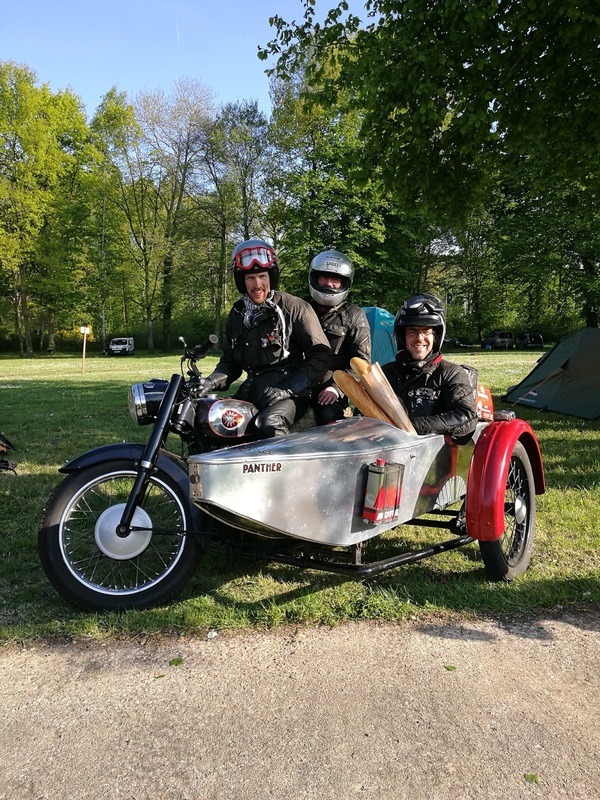 There're a few survivors, more than you would expect for a small commuter bike, strangely I've heard of a few in the States. 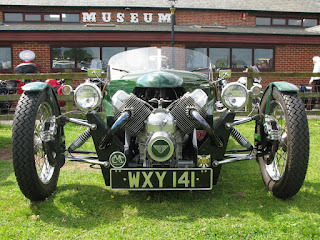 Not great for distance or speed but a nice evocative thirties machine that will always be something of a curiosity. 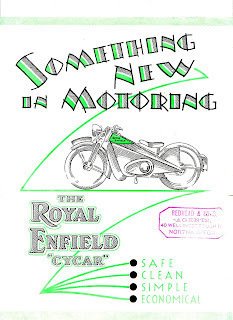 Royal Enfield Cycar brochure page 1. 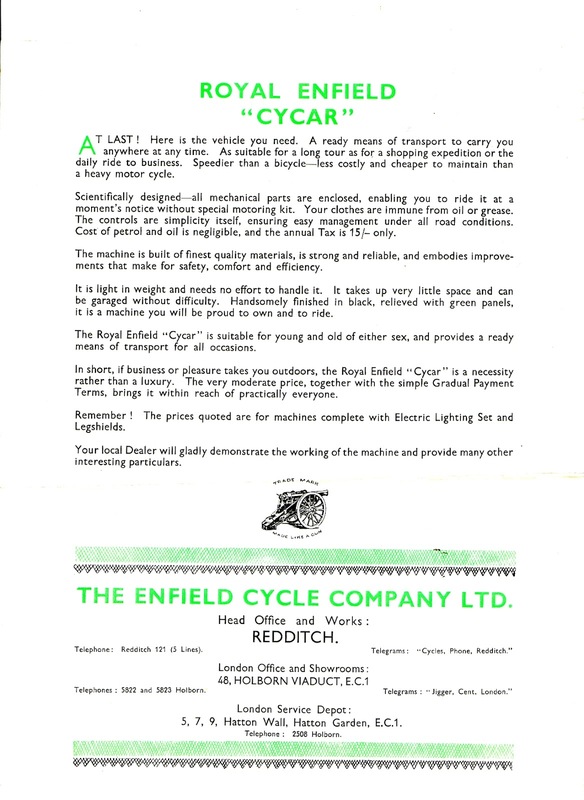 Royal Enfield Cycar brochure page 2. 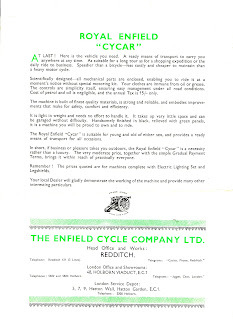 Royal Enfield Cycar brochure page 3. 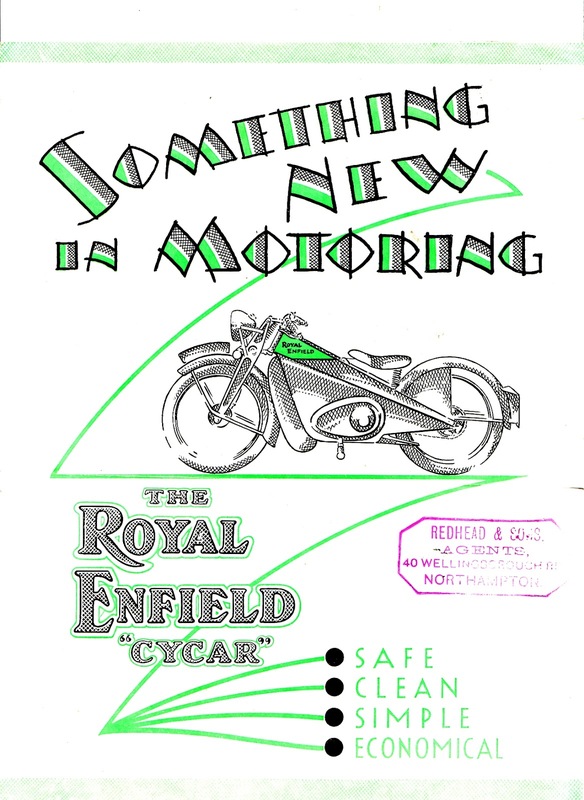 Royal Enfield Cycar brochure page 4. 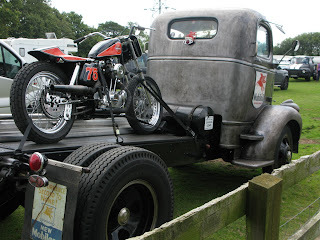 The bi-annual Sammy Miller jumble has settled down into being a fine little local parts fair. 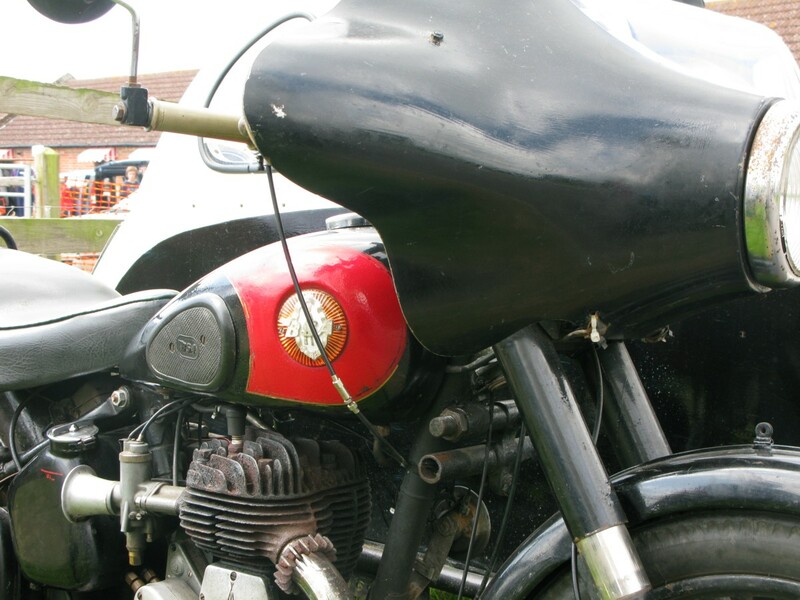 Garage clear out stalls selling quality junk and lots of folks turning up on interesting bikes. As usual spent too much on 'bargains' myself and left empty pocketed and loaded with prime rusty crap... 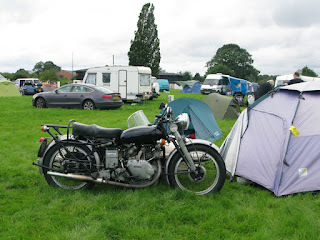 Here're some pictures from the bike park. Same Triking again, different angle..
Great period BSA M21 combo. Plenty of period old duffer touches and patina. 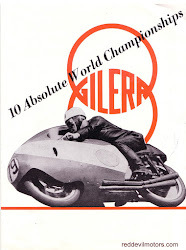 sixty years. 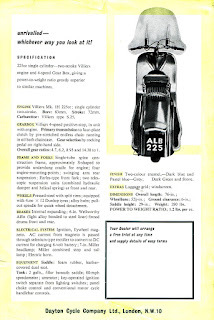 Along with cockroaches M20s will survive the apocalypse. 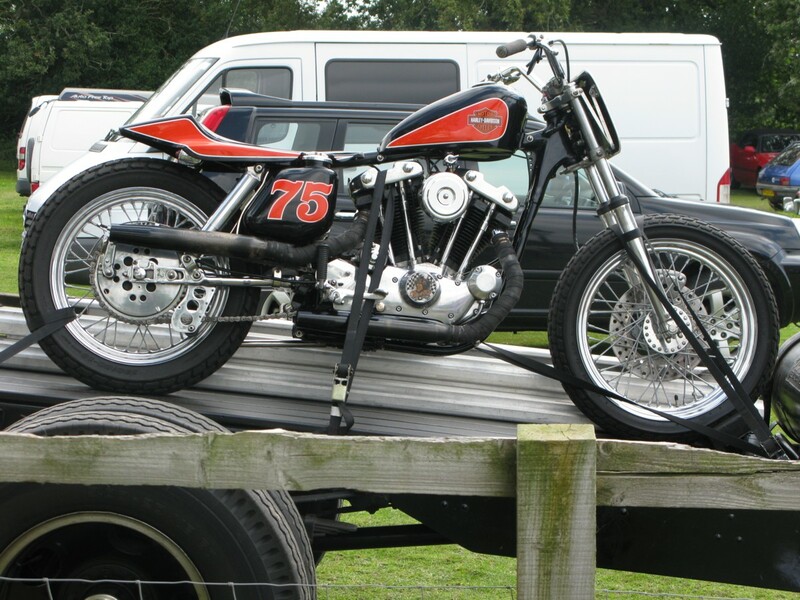 Harley shovelhead flat tracker on Ford flat bed caused a lot of envy. Closer up of that Harley flat tracker. Road legal. 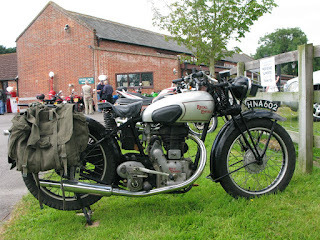 Civilianised Royal Enfield Model CO in nicely used condition. Couldn't work out if this Tiger 100 was restored a while back or original. great looking bikes and the pre-unit Tiger 100 is the cream of the crop. 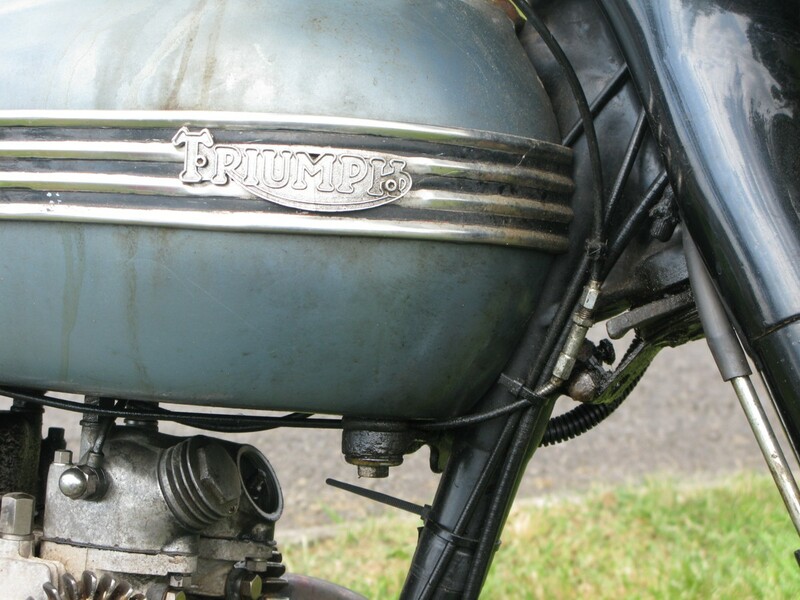 That patinated Triumph again. Missing rocker cap. 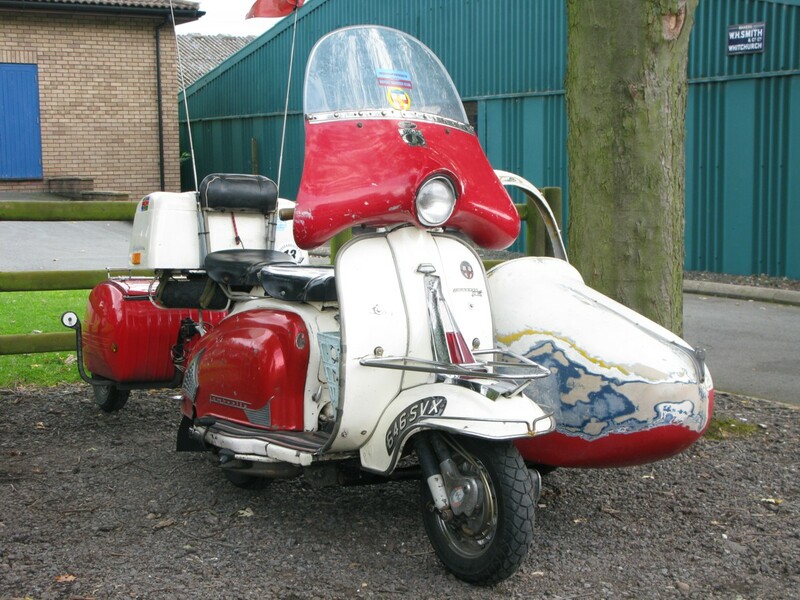 Vibes, what vibes?